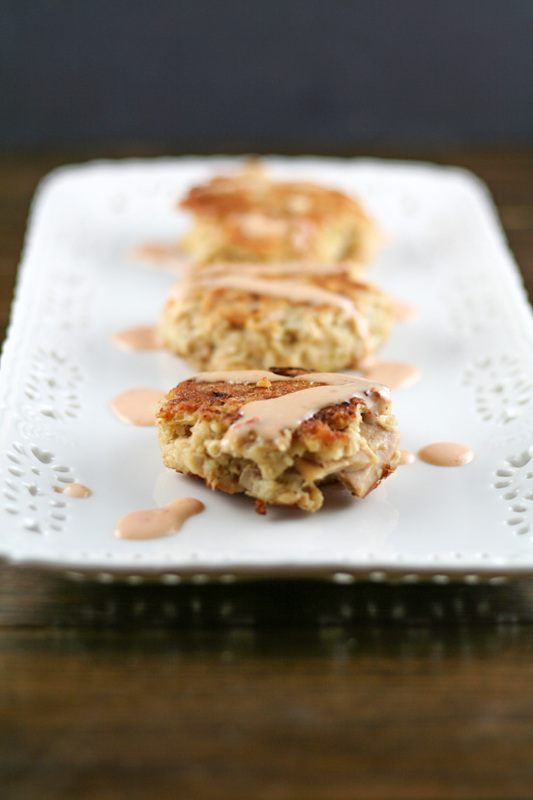 Let’s talk about tuna cakes. 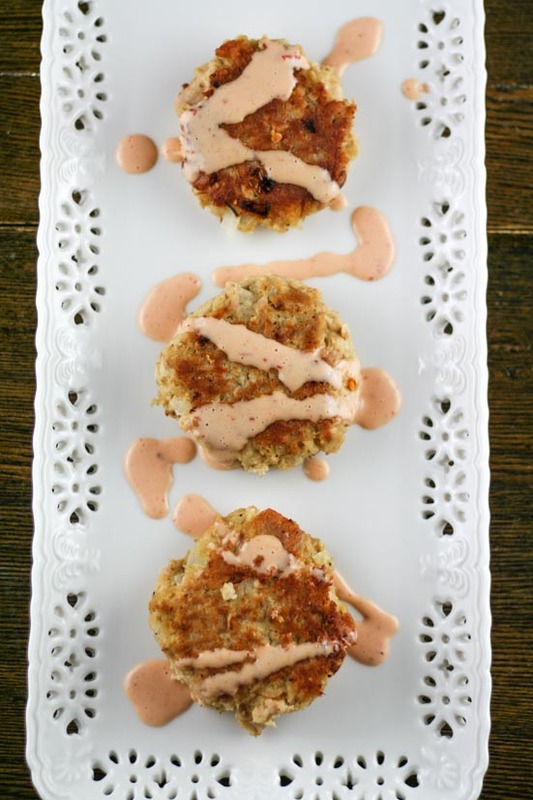 Anyone else have childhood memories of eating tuna cakes for dinner, usually with a side of creamed peas, while watching Dan Rather on the evening news?? Just me? Well, back then I hated tuna cakes (do you notice this theme of me despising food as a kid??) So, as an adult I avoided them. Until recently when my husband (who could eat tuna out of a can) forced me to try tuna again. I am a firm believer, though, that it’s all about the quality of the tuna. 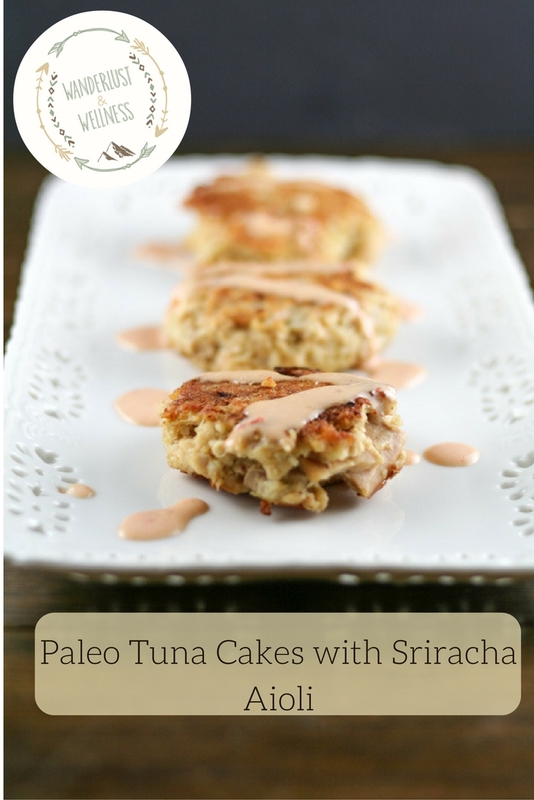 That’s why for this recipe, and all of my tuna recipes, I only use Wild Planet Albacore Tuna. Whenever I fix tuna the cat comes running! He knows what’s up! 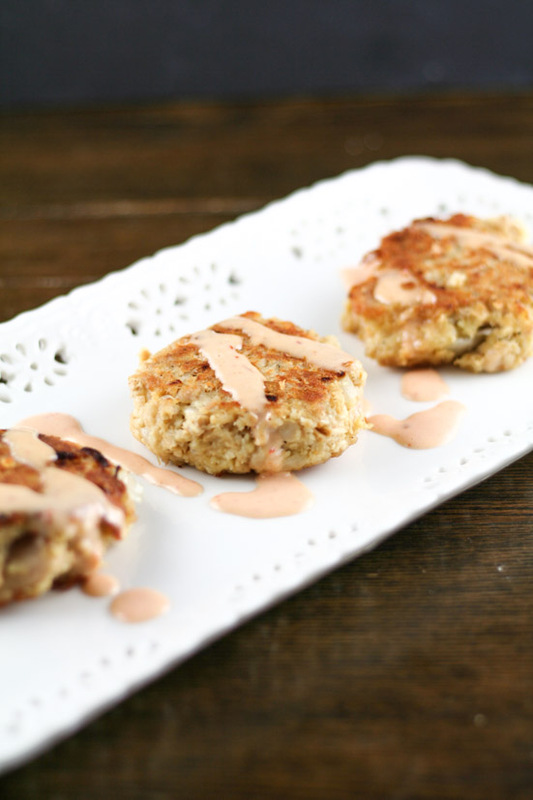 You guys might not believe, but these are literally THE BEST tuna cakes I have ever fixed. Hands down, try these for yourself and let me know. And the Sriracha aioli puts these over the edge in the awesome flavor department. Did I mention these are SO GOOD?!? In a skillet, melt 1 tbsp. ghee and saute onions. Drain tuna and place into a large mixing bowl. Add mayo, lemon juice, salt, and pepper to the tuna in mixing bowl. Stir well to combine. In a small bowl, whisk the two eggs, then add to the tuna mixture. Add in onions and breadcrumbs and stir to combine. In the same skillet you sautéed the onions, melt the additional 2 tbsp. ghee on medium to medium-high heat. 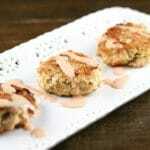 Use a 1/3 cup measuring cup, scoop out the tuna mixture and form into patties. Place into skillet and cook about 3-4 minutes on each side until golden brown and crisp. Continue until all patties are cooked, removing from pan and letting rest on a lined baking sheet. While the patties are resting, whisk together all Sriracha ingredients. Drizzle aioli over patties and serve.